Dr. Chad A. Vaughn, Optometrist, completed his undergraduate studies at Holy Cross College and his doctorate studies at The New England College of Optometry in Boston, Massachusetts. He currently is a member of the Beta Sigma Kappa International Optometric honor society, the American Optometric Association and the New York State Optometric Association. Dr. Vaughn received his extensive clinical experience through externships including work at The New England Eye Institute, Veterans Administration Clinic in Lowell, MA, and Lahey Clinic Medical Center. Dr. Vaughn has also worked with a glaucoma specialist at the Ophthalmic Consultants of Boston. His specialties include family practice, specialty contact lens fittings including bifocal contacts, ocular disease diagnosis and management, laser surgery consultations, and postoperative care. 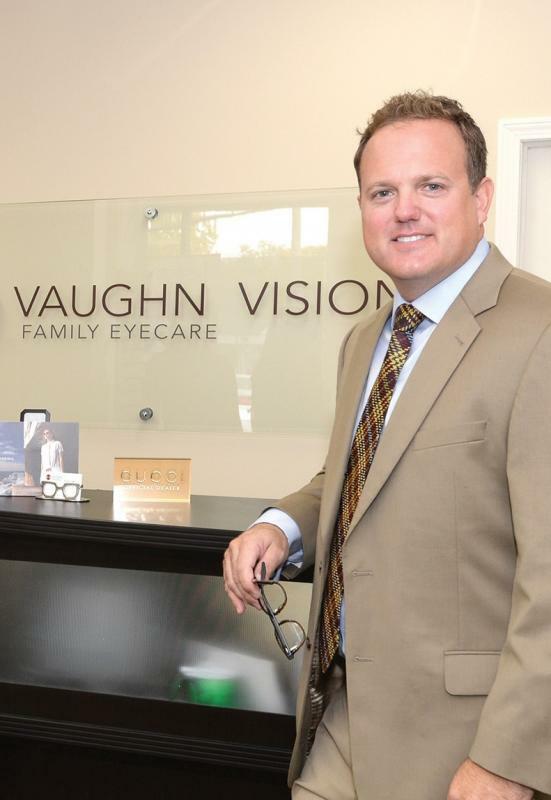 Dr. Vaughn's interests include golfing, running, swimming and spending time with his wife and two children.